In dedicated hosting, you will get your own server. You have full control over the server, including software, operating system, hardware etc. Large websites need more resources such as bandwidth, disk space, and processor that dedicated hosting platform is able to provide. 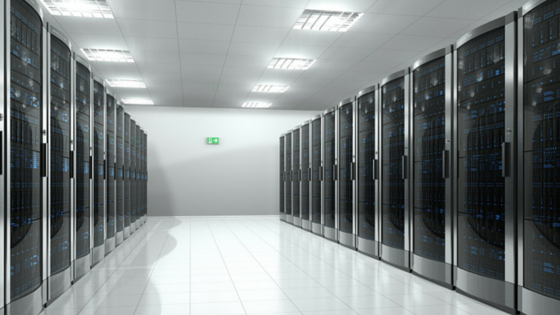 If you have your own dedicated server you can manage the reliability and stability of a server. In dedicated hosting processing speed is very high rather than a VPS & shared hosting. To know more about VPS hosting – Read Here. Dedicated server is the best option for hosting a website or websites. In this hosting your website have its own safe zone. Traffic of other websites can’t affect your website. Dedicated server is most secure & reliable. If you are using dedicated server, it gives you reliability. When you purchase this hosting from a web host, you do not have to share your server with anyone else. So you never have to worry about your site going down due to heavy load of other websites. In dedicated hosting, you have the full control over the use of resources even you can configure it according to your requirement. When you choose dedicated hosting, then you get advance technical support from the hosting service provider. There are 3 types of management in dedicated server: unmanaged, semi managed & fully managed server. In unmanaged, total technical support is on you. But in semi management, some of technical support is provided by the service provider for some specific queries & in fully management total technical support is provided by Technical support professionals quickly with 24/7*365 support. Hosts provide you the information & advice which you have to know to keep your website up. In dedicated server, you don’t share your server. So your website is safe from Cyber Attacks. A dedicated server has its own dedicated IP address. You also don’t need to worry about your IP address to be blacklisted by another user. By using dedicated server you can host multiple IP addresses. It is very unique feature of a dedicated server called load balancing. The load balancing feature helps in balancing the load occurred due to heavy traffic load. If you want 100% uptime then you have to go for a dedicated server for this feature. Medium & large companies or websites can use this dedicated service. This is the reason why it is more expensive than other hosting solutions. To Get more Insight about Web Hosting – Click Here.